Cleanses completely to jump-start the body, awaken the mind and help revitalise the skin and hair. This shower wash combines Rosemary and Eucalyptus help to naturally support the immune system by reducing bacteria on the skin's surface. The energising aroma helps clear the head and aid breathing. Leaves the skin and hair completely invigorated and performance ready. I have the bigger bottle at home - this smaller tube I use for when I'm on the road. I bought one when I was on businesstrip and it is far better than all the bad stuff that the hotels have. It has a great smell, it kickstarts your day and it leaves you with a clean and fresh feeling! Any man who travels and stays at hotels, must have this in the luggage! 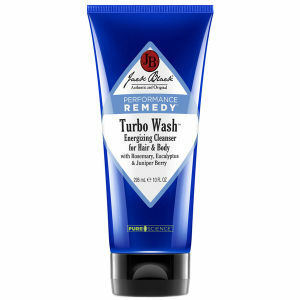 Bought the Turbo Wash Energising Hair & Body Cleanser 295ml as the body/hair wash in the gym was too harsh. This is very refreshing and has eucalyptus so gives you a boost. Highly recommended. 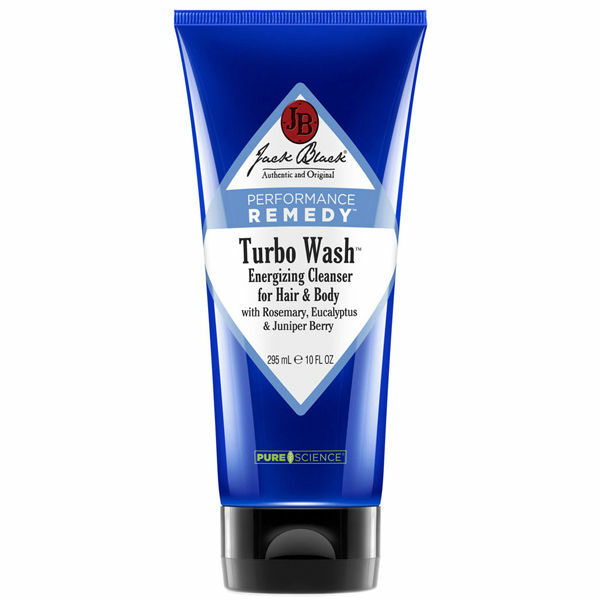 This Turbo Wash Energising Hair & Body Cleanser is a really decent product. Has a nice strong smell and it's very thick so creates a big lather from a small amount. Also get a huge tube of it for the price.